In 2011 the U.S. Census Bureau announced that they would no longer be producing the Statistical Abstract of the United States. 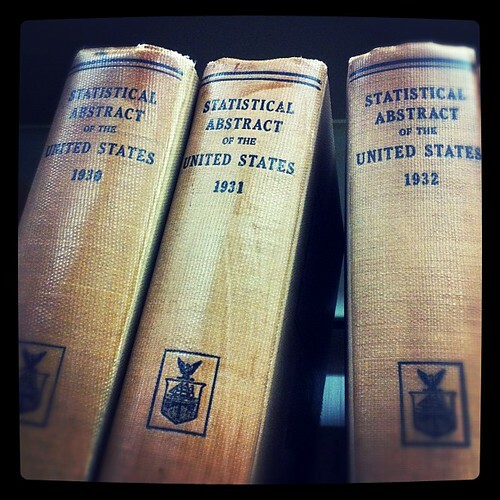 Published since 1878, the Statistical Abstract is known as “the authoritative and comprehensive summary of statistics on the social, political, and economic organization of the United States.” ProQuest has assumed this responsibility, and Atkins Library now pays to provide access to this resource in print and online. ProQuest is offering several free webinars in February and March to demonstrate the new Statistical Abstract. You can register for the webinars, view a pre-recorded webinar and find additional information about the online version of this resource at the ProQuest Guide to Statistical Abstracts. To learn more about the difference between the Census Bureau and ProQuest versions of these products, click here.